Are you ready to spend May 5th riding through all five New York City boroughs on car-free streets? Are you ready to join InTandem on one of he largest teams riding in the 2019 Five Boro Bike Tour? InTandem is a TAP-NY partner and nonprofit, which offers free year-round tandem cycling programs to people who are blind, have low vision, or cannot ride independently due to other disabilities. 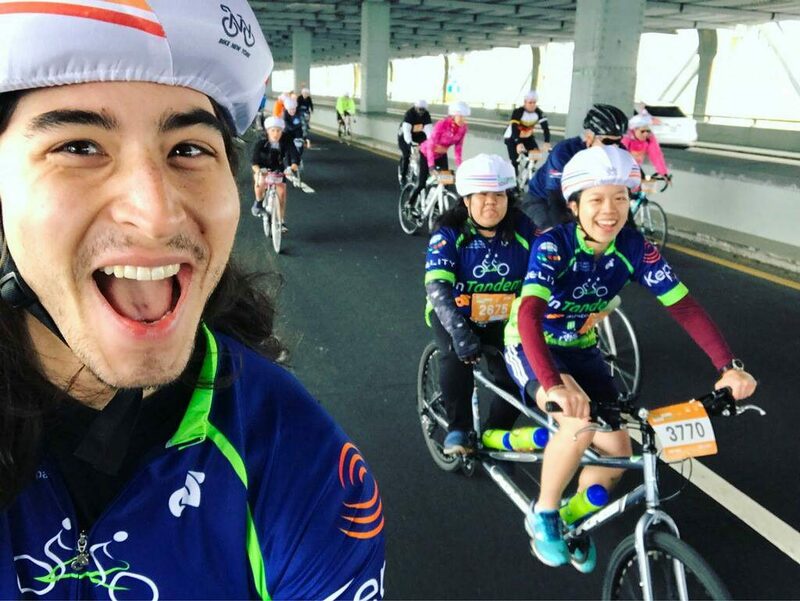 InTandem is looking for volunteers to join its 2019 Five Boro Bike Tour Team! Register here today! Just click on one ticket for yourself and continue through the form. On May 5, 2019, 32,000 cyclists of all skill levels will bike 40 miles through each borough of New York City on streets totally free of cars. For one day, the roads are yours, the bridges are yours, and yes, the city is yours! Why should you ride with InTandem? Secure your entry through InTandem (Five Boro Bike Tour standard registration is closed), and ride for more than the miles. Our goal is to raise $150,000 this year. When you ride with Team InTandem, you will raise funds to support InTandem’s mission. Exclusive access to InTandem’s Boot Camp, a seven week endurance training designed to help you finish the 40 mile tour with ease! AND the satisfaction of knowing you and InTandem are helping more people experience the joys of cycling! 2017 TD Five Boro Bike Tour for InTandem!